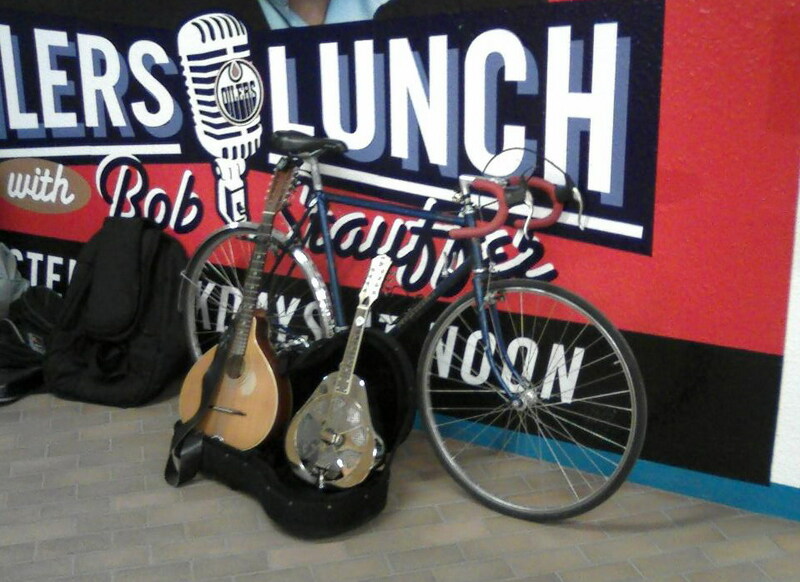 And now, a brief musical interlude. As a break from bike content, here’s a video I recorded a while back. It only takes a few days of rain. It’s been raining here in Edmonton for several consecutive days. This is unusual. More often the rain comes in brief, torrential downpours. 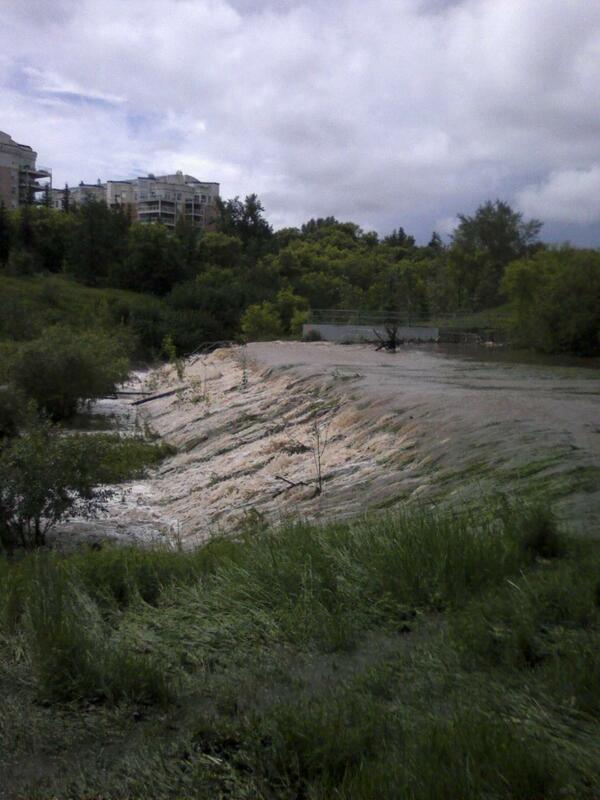 These few days of rain have greatly swollen the North Saskatchewan River and the creeks feeding it. 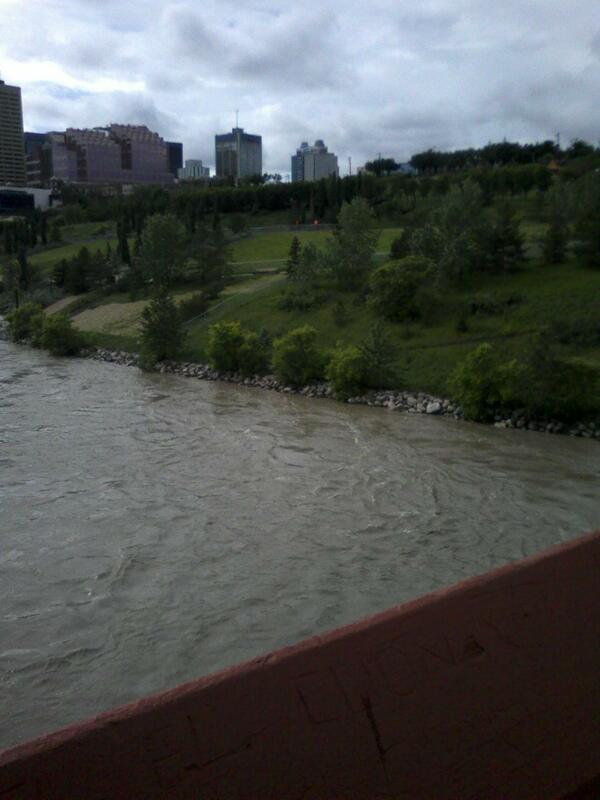 To anyone unfamiliar with Edmonton these pictures won’t convey much: the landmarks and references that indicate how much higher the river is running will not be obvious. Pictures can’t communicate the implacable force of the river or the sinister eddies. I cross the river every commuting day and it is sobering to stand and watch the river, realizing how little it takes to transform it. Here in Edmonton, this is just a novelty, something to ooh and ahh at. 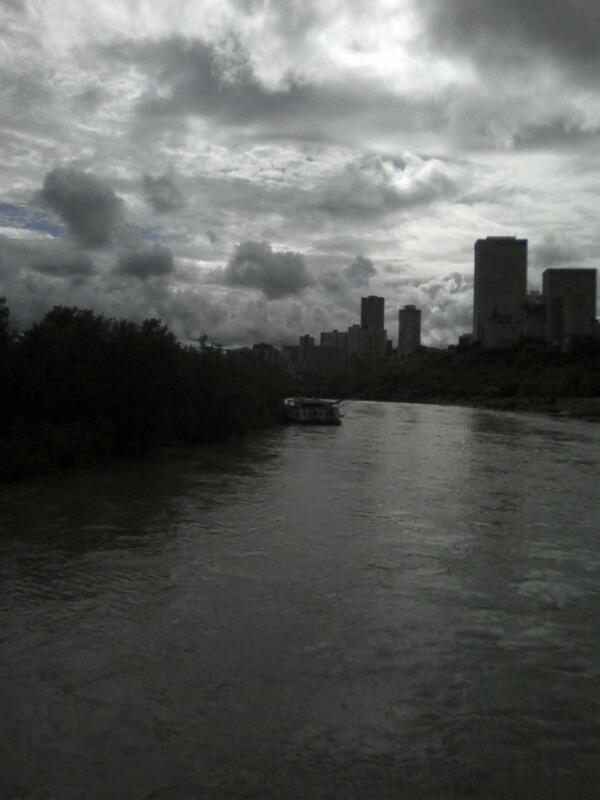 Most of the city is safely very high above the river. I like it that way. 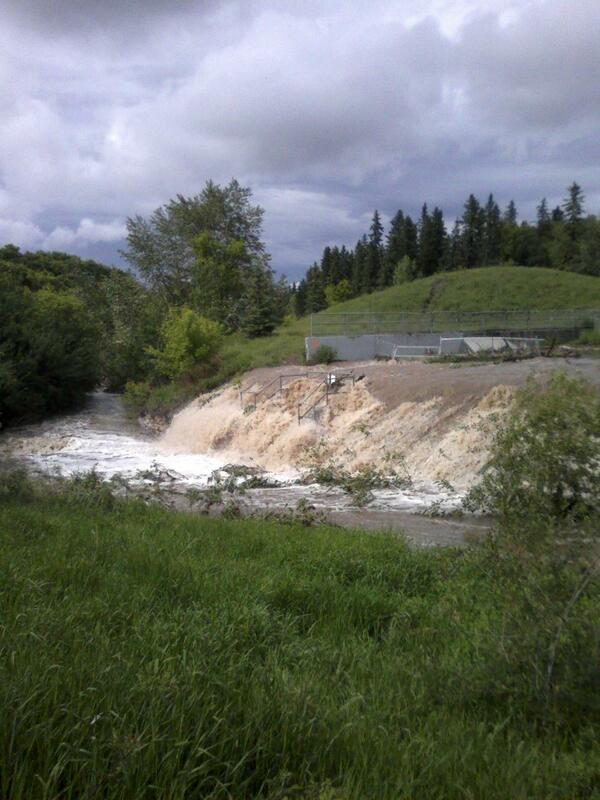 Normally Mill Creek just flows though that culvert in the midle. I think the river must be running about 10 feet high. I like the clouds in this picture. 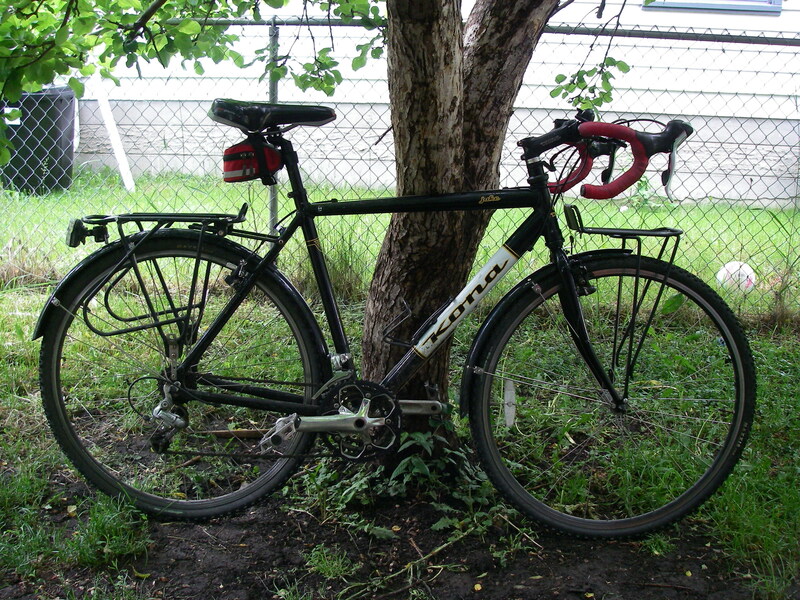 My Kona Jake has been my commuting and utility bike since I bought it a year ago. 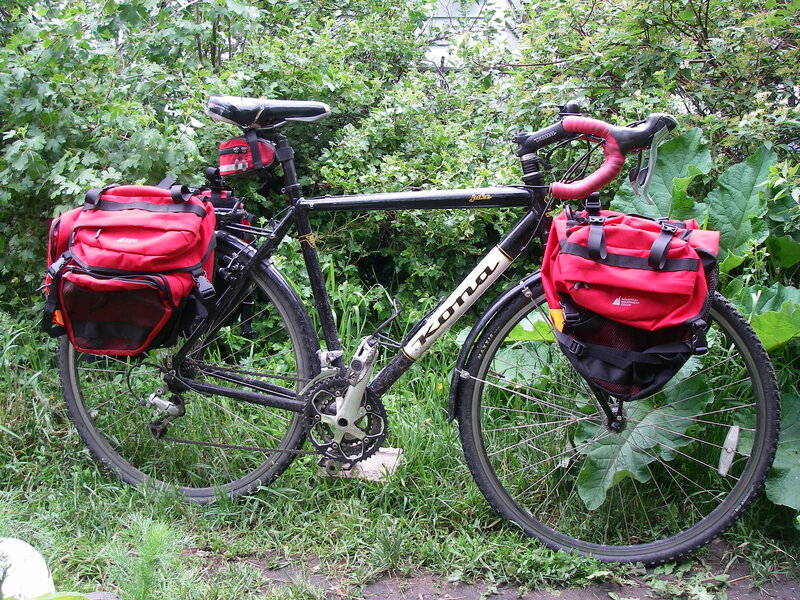 I’ve hauled lots of cargo on the rear rack, pulled children in a trailer and even used it for a couple of weeks of winter riding when my mountain bike was out of service. It’s been reliable, versatile and fun to ride. Still, I wanted to increase its utility capabilities. A front rack seemed like the next step. I picked up a MEC Mountain Front Rack. For only $13.00 I thought that if it didn’t work out it wouldn’t be a big deal. The first problem was that the Kona P2 fork didn’t have eyelets for attaching the rack. I could have attached it with clamps to the fork blades but that would have positioned the rack higher than I wanted. Instead, I picked up a replacement fork at a gear swap. As an added bonus, the new fork has bosses for a lowrider rack if I need one in the future. I spray painted the fork black to match the bike (and, boy, did that take longer than I thought it would). 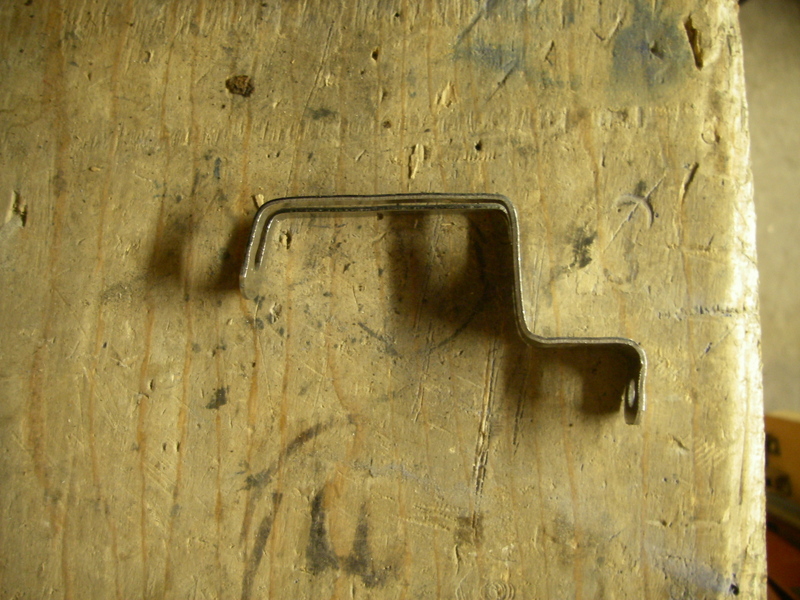 I made the removal tool from an old seatpost. It turned out to be a bit weaker than I had hoped and I had to straighten the tines a couple of times, but it did the job. Next, to install the new fork I improvised some headset tools to replace the old headset with the better one that came with the new fork. I hadn’t ever replaced a headset before but I was able to manage it without too much trouble. Cobbling together the tools only took about 15 minutes. Finally, I was ready to install the rack. Not having done this before (and because the MEC rack comes WITHOUT INSTRUCTIONS) I tried researching the task on the internet. To my surprise there is very little information and few detailed photos. Nothing showed a similar setup to my bike. 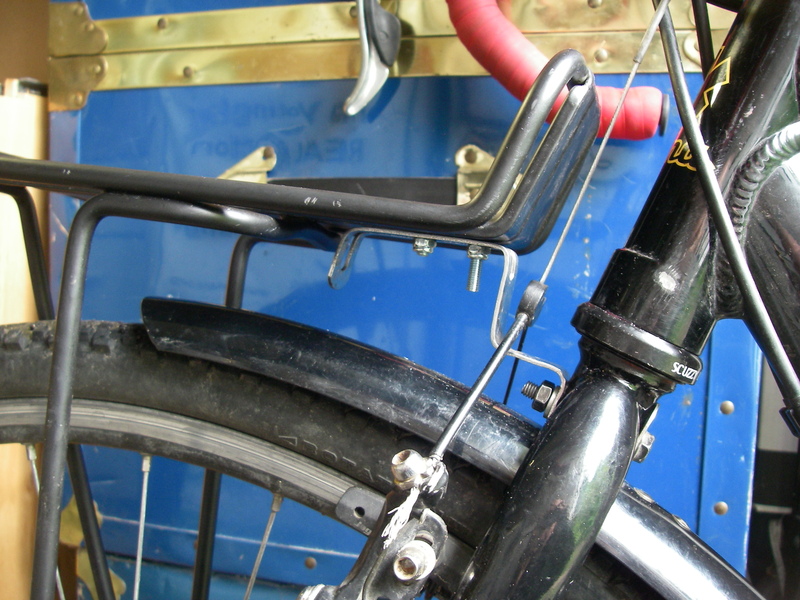 Since this rack seems to be a copy of the venerable Blackburn front mountain rack I was surprised by this lack. Maybe this is considered to be such a basic task that nobody would bother showing their setup. I must just be dense, because I had to do some head scratching to figure it out. 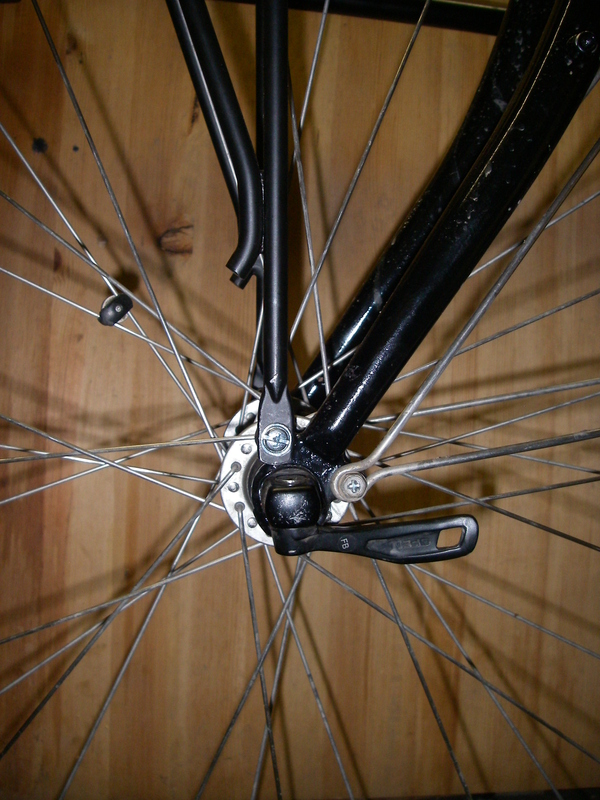 The metal tang that attaches the fork to the rack was formed in such a way that I had to reshape it considerably to install it so it would work with my fender and not interfere with my cantilever linkwire. If I had a straddle cable instead this would have been a little easier. Just now, looking at the picture on the MEC website of the tang in the hardware kit, I see that the slot is longer than on the one I received. That would have made things easier as well. 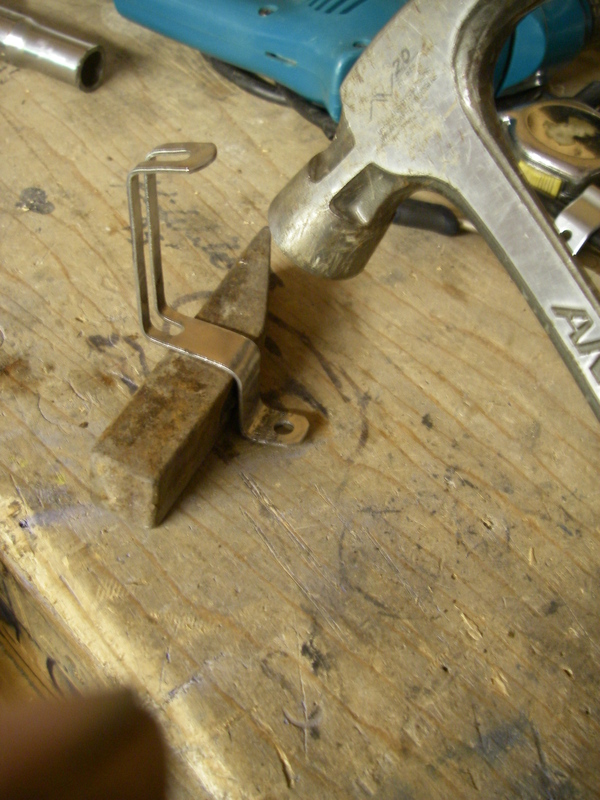 My mini-anvil is a hammer head I unearthed when digging in the garden. Instead, I channeled my inner blacksmith. I had to re-bend it several times before I got it just right. I was worried that it might break because of this but it seems solid so far. After that, the installation was straight forward. 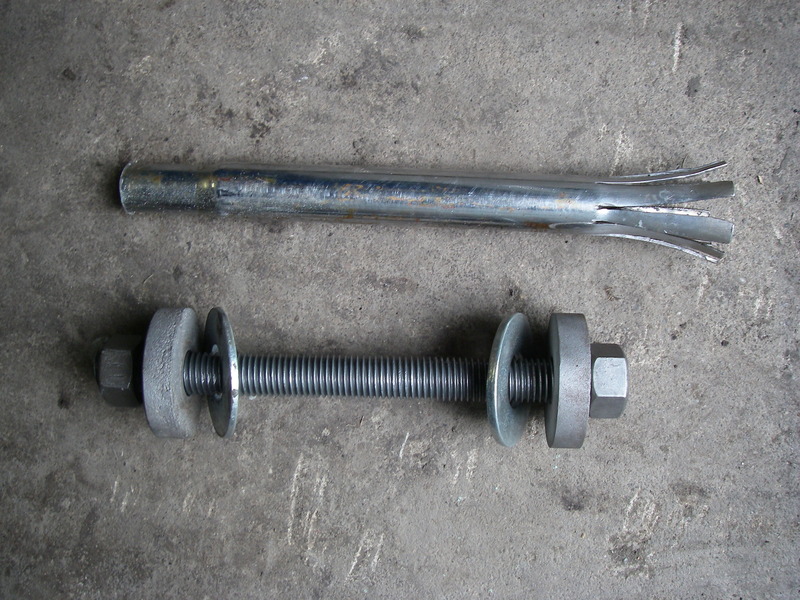 The mounting kit supplied DID NOT CONTAIN a bolt long enough to fit through the top of the fork. This wasn’t a problem for me as I was able to use the bolt from my fender. There was some leftover hardware that is doubtless useful for installing the rack in other configurations. Once installed, the rack is solid. Certainly it is enough to carry anything I might reasonably want to put on the front of my bike. 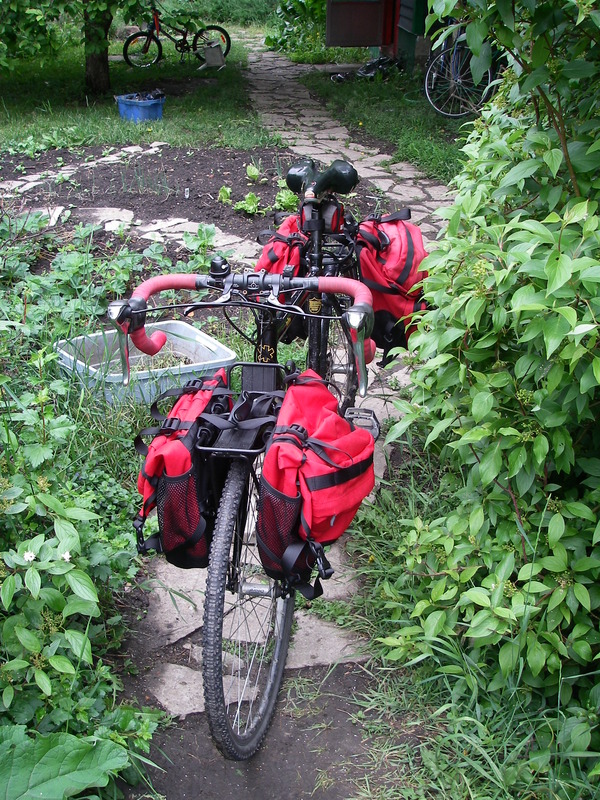 My MEC 40L front pannier set fits securely and I’m looking forward to putting them to some serious use. This past week I spotted my first hot air balloons of the year! This is something I look forward to. On Tuesday I sighted three. This is one I haven't seen before. 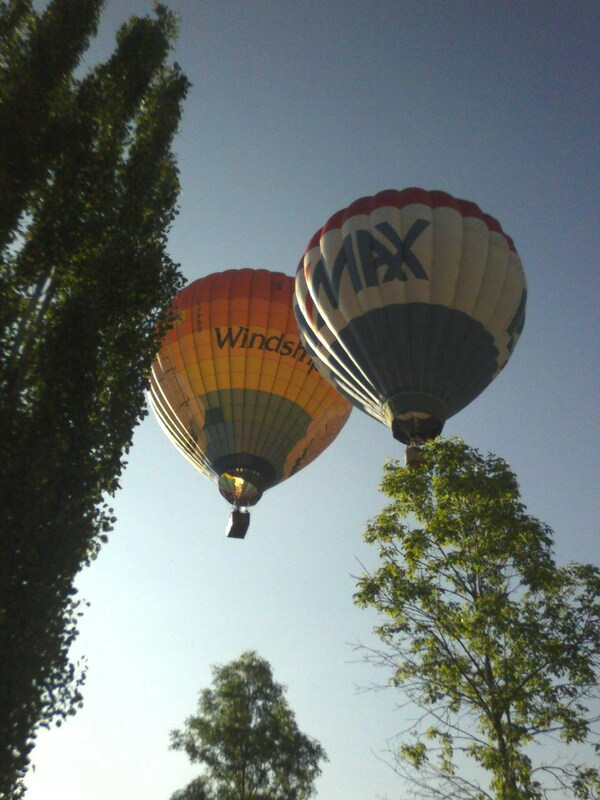 One was a deep, dark blue balloon I have not seen before and one of the others was the omnipresent REMAX balloon. 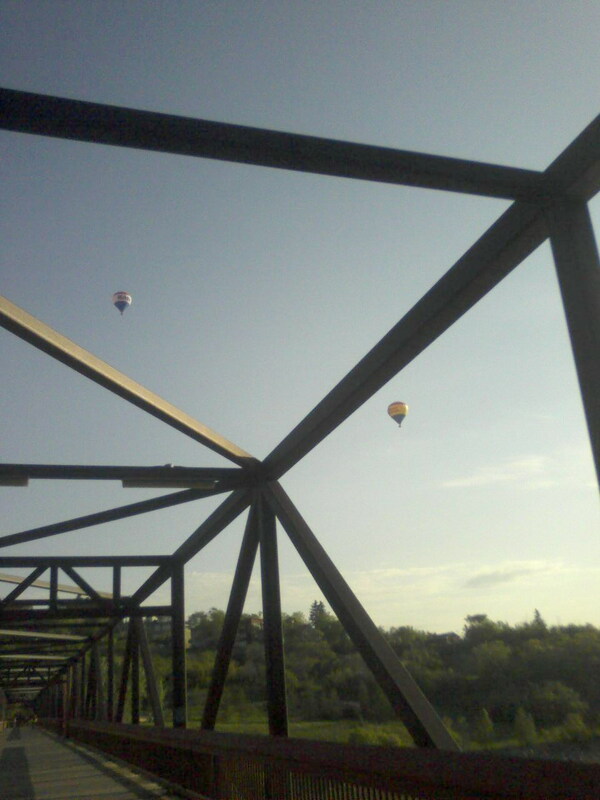 The balloons often launch from Gallagher Park in the heart of the Edmonton which happens to be right on my morning commuting route. Twice over the years I have come within minutes of seeing them launch. 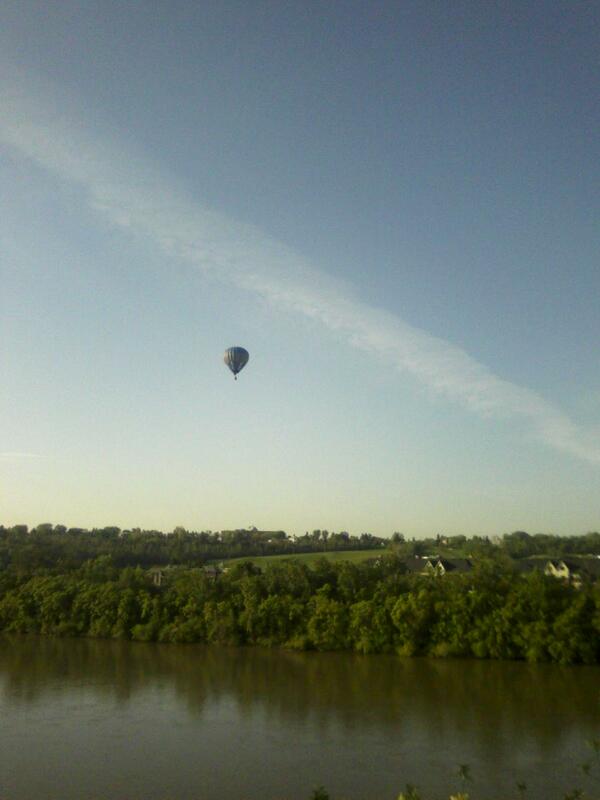 On Thursday as a I approached the river from the North side I saw the top of a balloon peeking above the trees on the other side of the river. It only took me a couple of minutes of furious pedaling to reach the launch site but that was still too long. It was already hundreds of feet up and away. So close! Still, any balloon spotting brightens my day. I once saw the Mr. Peanut Balloon floating across the Edmonton’s morning sky. Now that was surreal start to a work day. I don’t know if there is any rational reason why seeing hot air balloons makes me so happy. It is wholly experiential : photos of balloon are uninteresting to me. I suspect that it is the unearthly nature of seeing something so large move so silently through the air. Something in me responds to a rejection of the cacophony of motorized movement. I’d rather hike through the mountains than ride an ATV, row a boat rather than operate a outboard motor and (of course) ride a bike instead of driving. However, the periodic roar of the jets of flame are less than tranquil. So I’m not sure. It is interesting that the photos of balloons I take render them tiny and utterly fail to convey their massive presence. I just missed the lauch. One day I will see a balloon launching and I’ll call in sick to work. 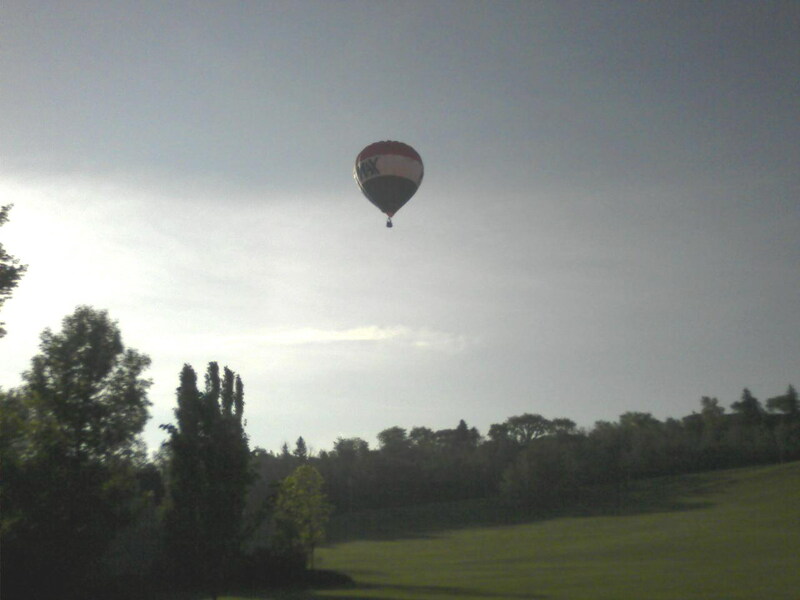 Instead, I’ll spend the morning chasing the balloon across the city and countryside on my bike. It had better be a calm day, though, because even in a light breeze those puppies can move! This shot is from a previous year and is the closest I have come to stumbling upon a launch.